One of the neatest things about being a plant geek is that it’s possible to find inspiration anywhere you go. In theory, at least. 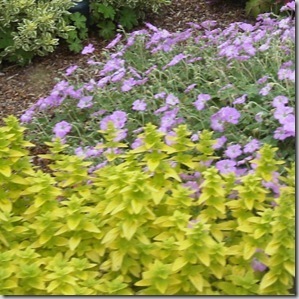 In reality, there’s a short list of plants in each region that are used over and over again until they become boring and dull, and these plants populate our landscapes in such numbers that inspiring plant ideas can seem few and far between. Some of the selections have no real flaw other than being so colorful and easy to grow that everyone uses them everywhere. Others have dangerously brittle branches, are prone to disease, or are so high-maintenance that I can’t think what possesses anyone to plant them at all, much less en masse. 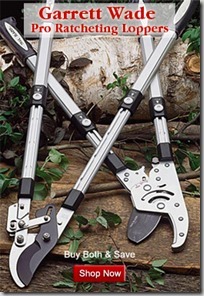 As a landscape designer, it’s easy to fall into an over-planting rut. 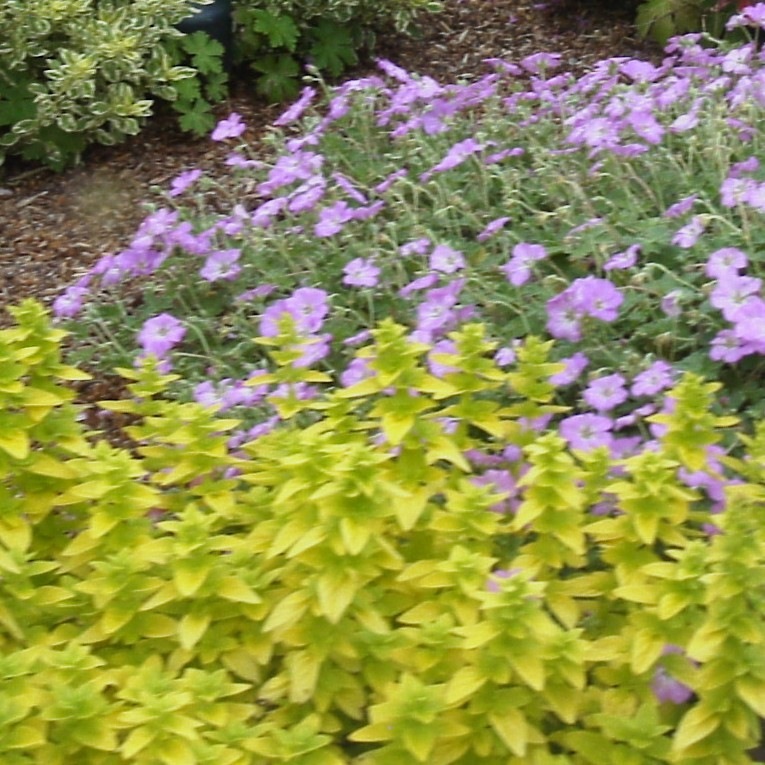 Over the years, I’ve found there are certain plants which always get a rave review from clients, and it would be easy to use a palette of smash hits each time and never go outside the box. But there’s something to be said for trying something a little new, flirting with some lesser-known beauties, and mixing it up so every landscape has its own special touches that aren’t replicated elsewhere. Balance is key. 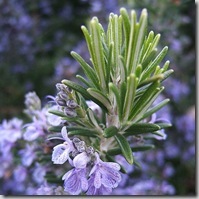 So I love a nice rosemary plant as much as the next person. 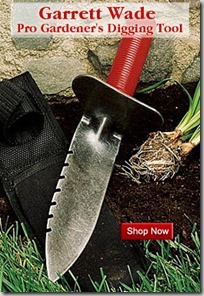 I mean, what better shrub to have around come barbecue time? But some landscapers take it a little too far, planting rosemary over and over again, everywhere, whether it’s truly the right plant for the spot or not. This particularly drives me nuts when people plant it in a location where it doesn’t have enough room to spread out properly, so it eventually starts getting hedged off the pathway until you have this flat-sided beast with dead twigs on one side and a tiny tuft of happy rosemary on the top. Gross. Let’s mix it up a bit, people! 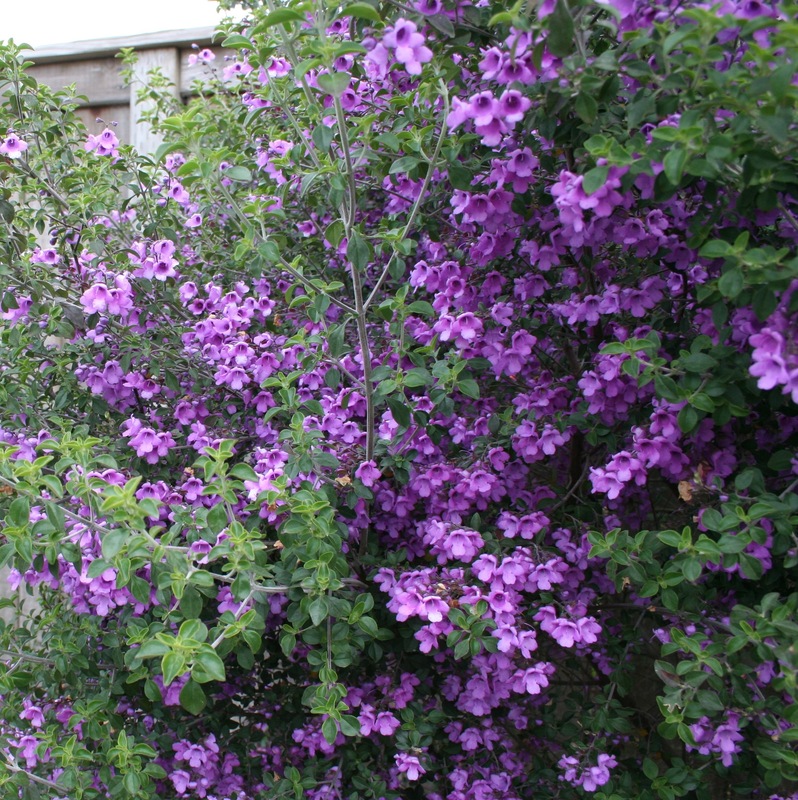 If you want a plant that’s like rosemary but perhaps a bit more upright, give Australian mint bush, Prostanthera rotundifolia, a try. 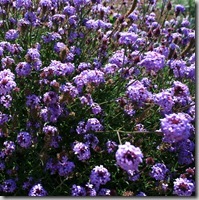 It smells pleasantly like Vick’s Vapo-Rub, has a richer color to the blooms, and gives more of an upright character to the landscape than the great sprawling mass that a happy rosemary plant makes. The hummingbirds and honeybees dig it. 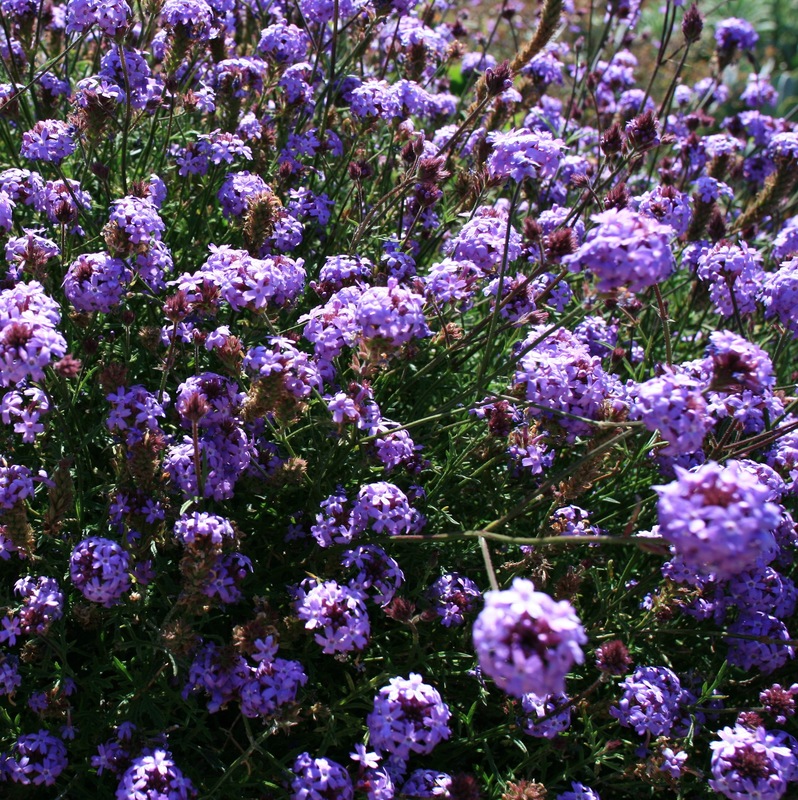 Or, if you want an exuberant groundcover but would prefer it not take over 8′ of garden floor space when mature, substitute SoCal native De La Mina Verbena, Verbena lilacina ‘De La Mina’, and let its lush foliage and long bloom season charm both you and your local pollinators. Verbena is less brittle than rosemary, so if your dog galumphs through it, you won’t have to look at a hole in the plant for the rest of its life like you would with a rosemary. I don’t want to seem like I’m slamming the edibles here, because they’re great plants for the right spots. But lately I’ve been seeing them everywhere regardless of whether they’re appropriate. Reality check: Edibles are fantastic for the landscape, but if you’re setting them in a location where they are likely to be pooped on by a dog, then it’s wise to evaluate them on the basis of their habit and performance in the landscape, because their edible nature will be rendered useless. 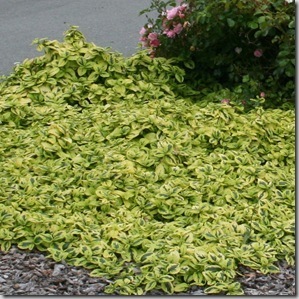 Golden oregano is really pretty, but in most of the landscapes my company maintains, it’s one of the highest-maintenance plants available, and it can turn into a frustrating mess if left unmaintained in a bed with landscaping fabric. It spreads (vigorously if given overhead irrigation), needs shearing after bloom to remove the brown, gets burnt leaf tips if given too much sun or too little water, and then needs to be cut back in fall. What a lot of fuss! 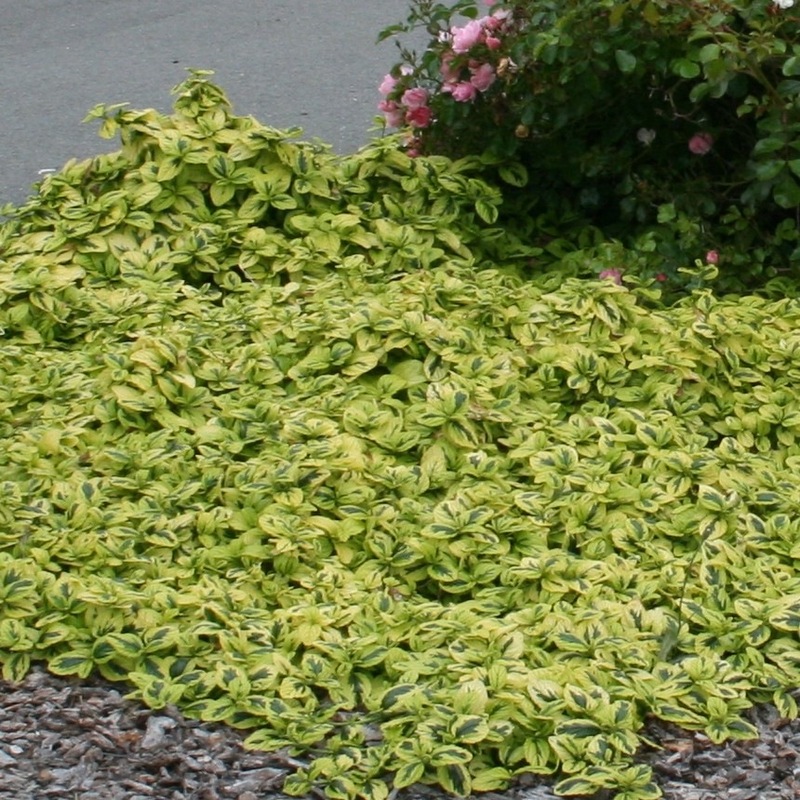 In contrast, Diamond Heights Ceanothus, Ceanothus griseus horizontalis ‘Diamond Heights’, is a slow-growing groundcover which is evergreen, has a similarly soft habit, covers the ground and suppresses weeds without needing, well, any real care. 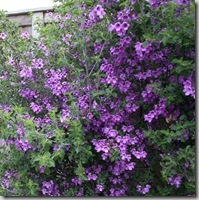 It likes a little water to get established, but after that prefers a low-water setting and looks good all year. Ceanothus are native, and while it’s hard to say how much wildlife value this variegated, rarely-blooming variety provides, I’d still call it a better choice than golden oregano in most landscaped settings. Why do so many people plant Japanese Camellias in coastal Pacific Northwest gardens, when their great ruffly overbred blooms turn brown and fall off the shrub in great rotting clumps at the first hint of rain? It’s not like winter moisture is some great surprise to us here. 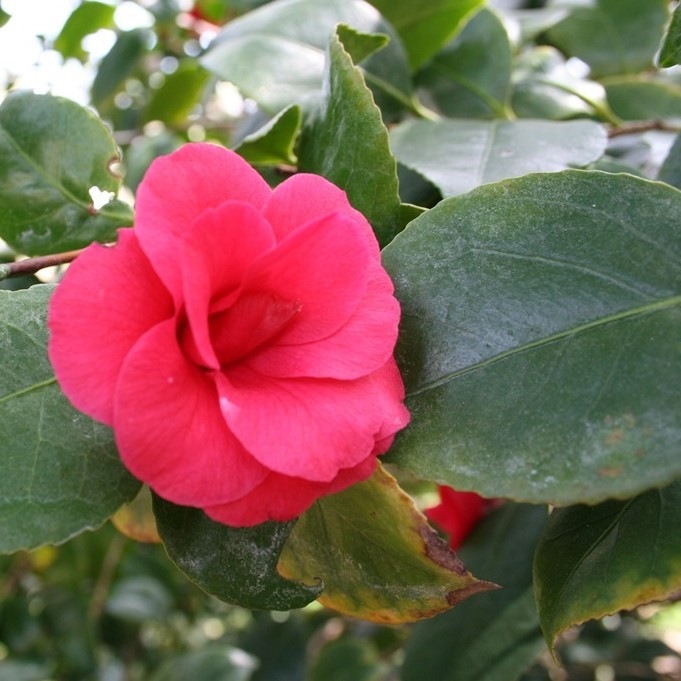 Plus, I don’t know about you, but I have never seen a bird or a happy bug visiting a Camellia. The things are like plastic as far as our local wildlife are concerned. 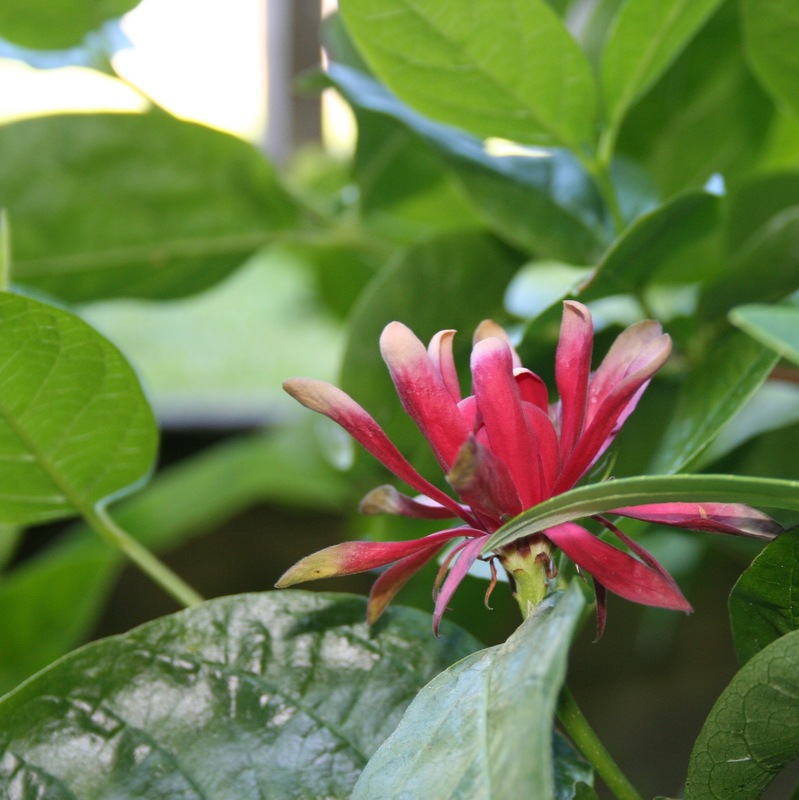 I’d much rather plant our CA native spice bush, Calycanthus occidentalis, which has bright cheery red blooms shaped like water lilies, grows easily into a tall shrub, and gives off a light, interesting fragrance like that of the inside of a wine barrel, fruity and astringent. It’s a plant that makes you look twice, yet it’s easy enough for any garden in sun or part shade. 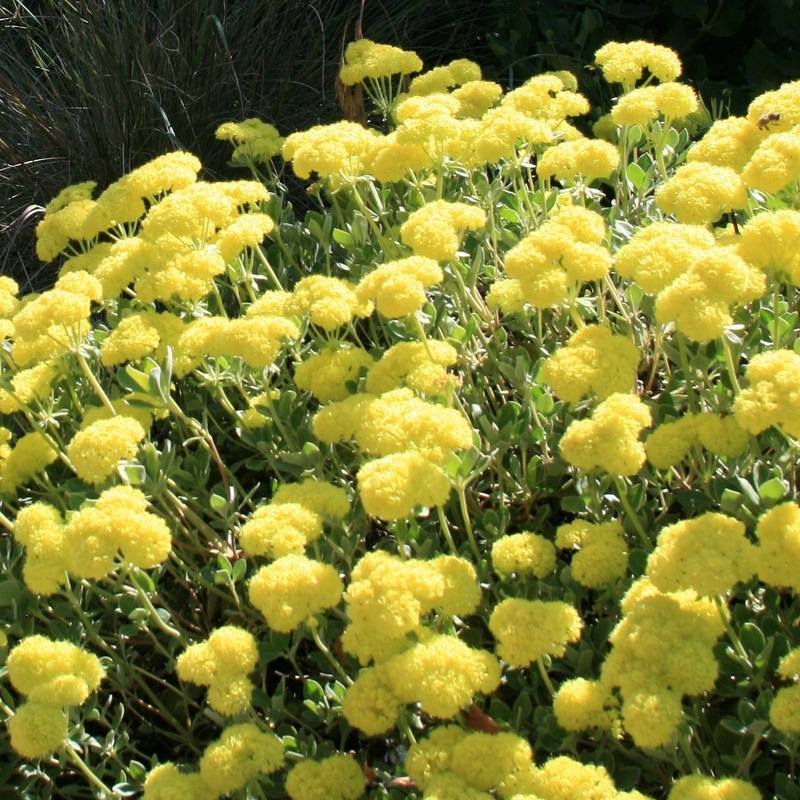 Plus, a native like spice bush, which has evolved with Northern California’s wildlife, has more potential to attract birds and happy bugs in the garden. 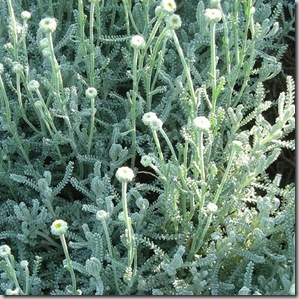 A great big snore award goes to regular old lavender cotton, Santolina chamaecyparissus, that floppy, woody, high-maintenance denizen of the low-water landscape. It’s all well and good the first year, when the lush foliage is filling in and those cute yellow button-blooms cheer the plant come summer. But once Santolina gets going, it gets woody and floppy and needs a hard yearly prune after bloom to stay compact and attractive. That means it has a significant “off” season where it looks awkward and thoroughly pruned. If you have a low-water landscape, I prefer the larger blooms and compact habit of sulfur buckwheat, Eriogonum umbellatum polyanthum. The author of my favorite insect book, Peter Haggard, calls it one of the top ten best plants for wildlife in coastal Northern California. The only caveat here is that buckwheats don’t care for water, so you can kill them with kindness. Don’t let them develop a drinking habit and you’ll have years of happy native bees and pollinators thanking you for adding this cheerful selection to your garden. We intentionally try to not plant those overused plants that I see in all my neighbors gardens. The last few years we have been really thinking about our plant selection and making sure that it supports wildlife in our garden. It makes for a much more interesting garden and photographic opportunities! How different our palettes are on the east coast than the west coast. It’s really remarkable. Why is it I am so tempted by plants I really shouldn’t be growing? I enjoyed your take on the alternates! 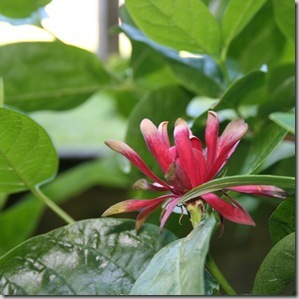 Alas the only eastern native is Calycanthus and I grow that often and well. There are so many plants to choose from it should always be a matter of right plant/right place. Great post, Gen! I have to say that I REALLY appreciated that little video you made on pruning hydrangeas that is on your homepage. So many people ask me for advice on this and I’m never very confident about giving advice. Your video helps a lot! This is a great post, Gen, and I am SO with you on wondering whether those edibles have been pooped on by dogs! (I think it’s the foraging trend right now that had me wondering.) Anyway, I wish I could grow all the plants you mention, honestly. And yes, camellias do the same thing so often in the South, where they bloom in early spring. I don’t get the appeal? The fall blooming sasanqua camellias, at the very least, are waaaaaaay better in my mind. THANKS for the book love too! I am so with you on your heroes and villians! It took several disappointed clients to make me realize Santonlia does not live up to its early, perky promise, while sulfur buckwheat, Diamond Heights Ceanothus and Verbena de la Mina are all the bomb. Have to confess, though, as I look at my soft and fluffy Debutante Cammelias floating in their glass bowl, I’m not quite ready to give those up yet. Your alternatives for commonly used plants look very tempting, Gen, even though I know none would be happy here in Austin. It’s fun to see the palette you can play with though! I’m especially enamored of that Diamond Heights Ceanothus. Hola, Gen! Another grand-slam home-run of a blog post. The side-side, apples-apples contrast of better vs. habitual is so compelling of an exercise for all designers. When I finish this nasty deadline I’m on, I’ll re-read your post in more detail and make my own list – or work on the list I started based on Tree of Life Nursery’s non-native vs. So Cal native replacements.